JBG non-lamellar / no-maintenance condensers are available in several plug-in models from the JBG range. These non-lamellar / no-maintenance condensers have been designed not to gather dust during normal operation. Conventional condensers on plug-in appliances contain fins which promote the accumulation of dust and other dirt on the condenser. This accumulation of dirt on the condenser acts as an insulator and reduces the performance of the condenser. Eventually when the condenser is excessively dusty, it can't function correctly and the appliance may break down. To avoid failures as a result of dirty condensers, a conventional condenser must be cleaned at regular intervals. 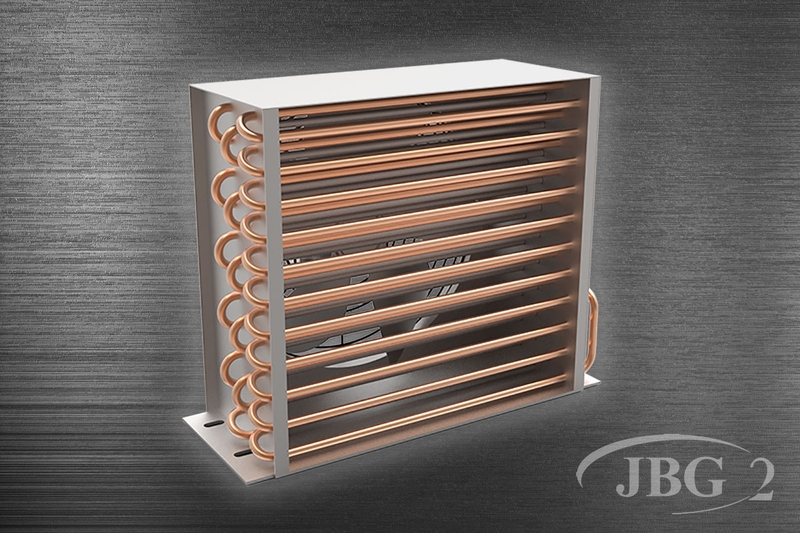 The non-lamellar / no-maintenance condenser by JBG does not need to be cleaned at regular intervals as it does not contain any fins. This Innovation from JBG comes in several models including the RDGA-L4z multideck and the LDFI-15 spider fridge.